Blood, Dark and Death – BC. The more that is revealed about Selina’s past, the more questions that are raised. Would the library help the trio in their quest for answers? Ava’s reaction was loud enough to make many readers lift their heads as well as the Librarian giving her a stern look, followed by a shushing sound. Seeing Ava bite her lip and realize that she had just brought the attention of all those around them to the small trio was enough to make Joel shake his head. He had already deduced that the girl was from another era, and the fact she answered him with the fifteenth century as being the time she was from meant he was on the money. It was incredulous, to be honest but there was much about the world and those around us that many would find hard to understand. Joel, however had a very open mind. If only the girls knew about the book that he had in his satchel. Course, that was for another time. Right now, Joel needed to keep Selina calm and Ava quiet. “Ava. You might want to sit down.” The young teacher was genuinely worried about how Ava was handling this. If she found a chair nearby it might be a good idea to use it. Turning his attention back to Selina, he showed her a soft smile. “Girls’ can be so dramatic.” Referring to how Ava made such a remark in the library. A place where you were meant to be quiet. Joel’s face changed slightly as he tried to cushion what would be a blow to Selina’s mind when he decided to fill in the blanks for her. “Selina, this is the twenty first century. A time well beyond the industrial age. You could say it is the glass age.” Glass being used in so many of the industries and technologies that we so readily accept in our lives. Joel watched her face closely, gauging a response – but asked one more question. Temp: Selina had jumped a bit due to the shouted reaction from Ava, and her eyes went wide upon being told which century this actually was. “Twenty…first…?” Tallulah had told her that time had passed, but she by no means said that it had been SIX…CENTURIES.“Six…centuries…hast passed…?” The cat plushie in her hands dropped to the floor as her hands fell from her chest, now only dangling at her sides. The cat plushie, which was possessed by a demon and served as her Grimoire, reacted openly for the first time. It moved on it’s own and jumped up onto Selina’s hat, peeking it’s head around the side to stare at Joel. “S-si-six…” For a moment, her eyes flashed bright red once more, which was due to the stress her mind was currently experiencing. Yet again, her awakened self was bubbling and arising within her. “What doth I remember? Blood…Dark…and death…the death of mine coven…mine family.” She had lost everything, right? What did Joel know? Why did he know to question her like this? Her mind was like a blender set on full speed. She was completely lost, and had even started crying…for no real reason at all. Instead of taking it as a suggestion, Ava took it as an order. She nodded and scanned the library for a chair. Inhaling deeply, she left the two and sat at a table, out of earshot from their conversation. Fifteenth century? What was wrong with Selina? Her hands moved to her head, her fingers massaging her temples. All this speculation on the girl and her origins was stressing her out. Yes, Ava had accepted magic had accepted. But time travel? Perhaps, this wasn’t time travel related. There could be a plausible explanation for this in one of her Grimoires. The man on the same table was giving her an odd glance. ”Are you okay? he whispered, raising a brow. Ava realised her body language was making it obvious she was troubled. 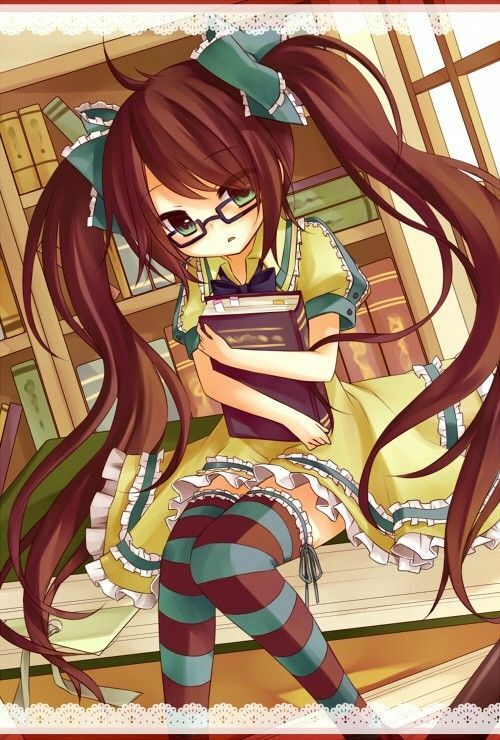 Licking her lips, she softly cleared her throat and reached across the table to retrieve a book from the centre. However, due to the size of the table, her fingers only touched the book, but not enough to grab it; nothing a little telekinesis couldn’t fix. The book edged ever so slightly to Ava; it wouldn’t be that obvious the book had moved, unless one was directly looking at it. Even so, it might have appeared as if it was a trick of the mind. Sliding back down to her seat, Ava opened the book. It was the history of Ozyrn. After flipping through a few pages, she grew bored. It served as a good distraction to the current situation. That was, until the sound of someone crying came to her focus. It was Selina. Had Joel scolded her, in private, for her stupidity? Either way, Ava felt sorry for her. Ava wasn’t the only one who was looking at the two. Others were pondering why there was a crying girl. It seemed they were all a beacon for attention. Rising from her seat, she hurried over to Joel and Selina, gesturing them to follow her. Ava moved deeper into the library, walking along a few bookshelves until they were out of view and earshot of others. Where the bookshelves started, the library truly began to resemble a maze. Stranger than fiction – BC. Joel was sure he was on the right track with his thoughts on Selina. Taking her to the Library, along with Ava, the truth is about to be revealed. Making sure that their new companion didn’t attract anymore unwanted attention, Joel escorted Ava and Selina to the City Library, which was actually a fair way from the shopping and cafe district. Thankfully, most of the pedestrians were too busy flicking through their smart phones to both to look up and see what was right in front of their noses. This was exactly what Joel was counting on. Society had changed and sadly for the worse. Though there were a select few that held on tightly to the old ways. Joel walked with a distinct strut, his attire allowing him ease of movement. It was almost as though he had a regal air, but he was the son of commoners and not one of high station – though he taught at the prestigious school of the rich and affluent. The young teacher was keen to light another cigarette, but remembered that his companions might not take to kindly to the offending smoke. So, he buried that thought deep as he walked along briskly. “It’s not much farther.” In a way keeping the girls attention towards him and not those that they passed. There was a good reason why he chose the library to learn more about their new friend. The building itself was a couple of hundred years old, and it was a great source of history and archives of the by gone eras. A place that Joel felt that there may be answers to his own unasked questions. Turning the corner, the imposing sight of the building gave cause for Joel to smile, though it was a fairly thin one. How many times had been here, he simply lost count. A place of solitude to those that wished to lose themselves in the many tomes on the dusty shelves. It was not a place for those that were all about money and possessions. The only thing you would get here was knowledge, something that Joel had craved all his life. Reaching the large oak doors that had been carved by a true master of carpentry, Joel pulled the left door open and stood back to allow the two young girls to enter. “After you.” His voice polite, yet serious. Once the girls had entered, he stood in behind them and waited for their reactions. Had either of them been here before? He imagined that Ava hadn’t, for she simply didn’t appear to be a little book worm. Selina on the other hand, may have. In order to get the ball rolling, Joel walked around and then crouched before the young girl with the cat plushie and asked. Her answer would help guide him to the right books. Temp: Selina had once again examined her surroundings during the walk from the Cafe to the Library. This was something she had done beforehand, but she found herself doing once more regardless. This era was so much different than what she remembered that seeing something once simply wasn’t enough. Any looks she might have received from passersby went unnoticed due to her fascination with the city. Eventually the three arrived at the Library, and she was led inside by Joel. The building was quite old from the looks of it, but she wasn’t quite sure if it felt familiar or not. It definitely felt a lot closer to who she was than the rest of the city, that much was certain. Upon Joel crouching before her and questioning her, she found herself a bit lost. What year was this? “This is still the fifteenth centu-…” Her sentence would go incomplete due to a sudden shock she felt from her Grimoire. Apparently Tallulah didn’t want Selina sharing that information. Normally she would go with the advice of the Grimoire, but this time it was different. Tallulah seemed scared or worried about this time period for some reason. “Century…is it not?” This time there was no response from her Grimoire, for whatever reason. Selina knew that some time had passed by, but surely it was still within the same century…right? As the trio left the café, Joel led the way whilst Ava trailed behind Selina. She looked to those they passed; however it seemed they were too busy with technology to notice something not in the norm. Ava had a phone too, though she spent little time on it. Most people used their phone to communicate with one another, play games or just browse the internet. For the first, Ava had little friends. As for the second and third, Ava wasn’t much of a gamer and her phone had no internet. Her parents didn’t want her to be distracted; Ava quickly realised they simply didn’t want her to learn more about the City. Her natural curiosity allowed her to pursue such knowledge from other sources. Ava recognised the route to the library; it was one she took many times. Finally, the library came into view. With little interest, she looked to it. The impact the building once had on her had long gone. Ava entered, whispering thanks to Joel. Her reaction to the library was pretty dull. When she was younger, she had come here many times, mainly to gain knowledge about Witchcraft. She only found the history of it, but it wasn’t what she was looking for. Ava wanted to see if there were more spell books. There wasn’t any in the library. After her disappointment, she hardly came here; only if there was a school project and she needed to do some research, then she’d journey to the library. When Joel posed his question to Selina, her answer shocked Ava. “Fifteenth century? !” She exclaimed; the librarian sent her a disgusting look and shushed her. Ava bit down on her lip, her face reddening. Was Selina delusional? This was the 21st century; her answer really did invoke deep thoughts. What was truly going on?